Fig. 1: Group photo with Mount Everest backdrop following presentations at the Sagarmatha National Park office in Namche Bazar (3,500 m a.s.l) with 60 participants (wrapped up against the cold temperatures). [Credit: Dhananjay Regmi]. The 12 day “Walk the Talk” Field Conference and Community Consultation through Sagarmatha National Park, Nepal, discussed a wide range of research outputs with local communities, tourists, and officials. Topics covered glaciers, mountains, environmental and landscape change, Sherpa livelihoods, tourism, and natural hazards. The conference, organised by Himalayan Research Expeditions, was the first of its kind, designed to receive community input into research topics and pursue applied benefits. Scott and Katie were two of the participants, presenting work from their PhDs in the Everest region and the NERC-funded EverDrill project. The team of international and Nepali scientists gave presentations every evening, trekking each day between six different villages along the Everest Base Camp trail. We were also joined by officials from the Nepal Department of Tourism and the Mountain Institute. The highest destination for the conference was Imja Glacial Lake, at over 5,000 m elevation, where we viewed first-hand the results of a recent $7 million project to lower the lake water level, aiming to reduce the risk of an outburst flood. The Sagarmatha National Park has been a focus for scientists of many disciplines for decades. 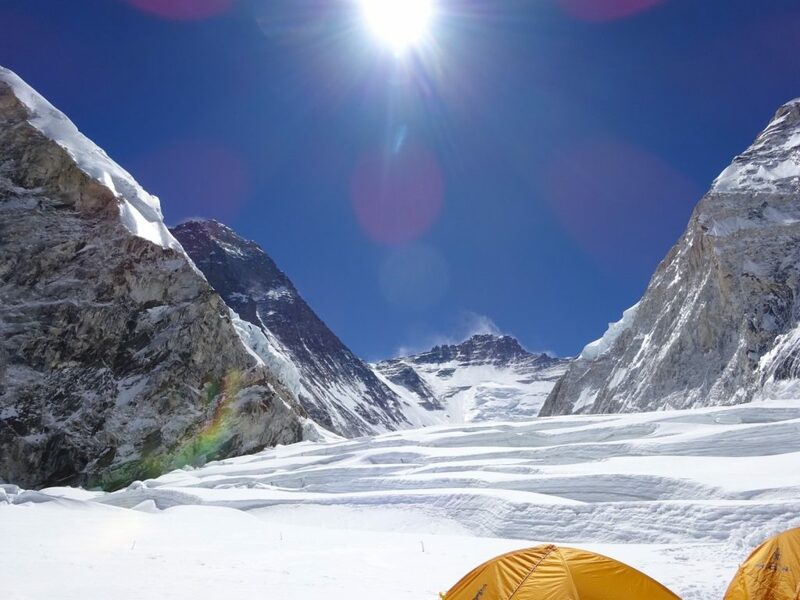 As well as thousands of tourists trekking to Everest Base Camp each year, it is also frequented by those hoping to summit Mount Everest (Sagarmatha). The park has therefore experienced significant change over a relatively short timescale as it copes with this huge influx of people. Presentations for the “Walk the Talk” conference ranged from impacts of tourism (for example, on local people, yak breeding and waste disposal) to natural hazards such as glacial lake outburst floods and landslides. Katie presented ongoing work from her PhD and the “EverDrill” project (Fig. 2), for which she has conducted several field seasons on Khumbu Glacier in the Sagarmatha National Park. 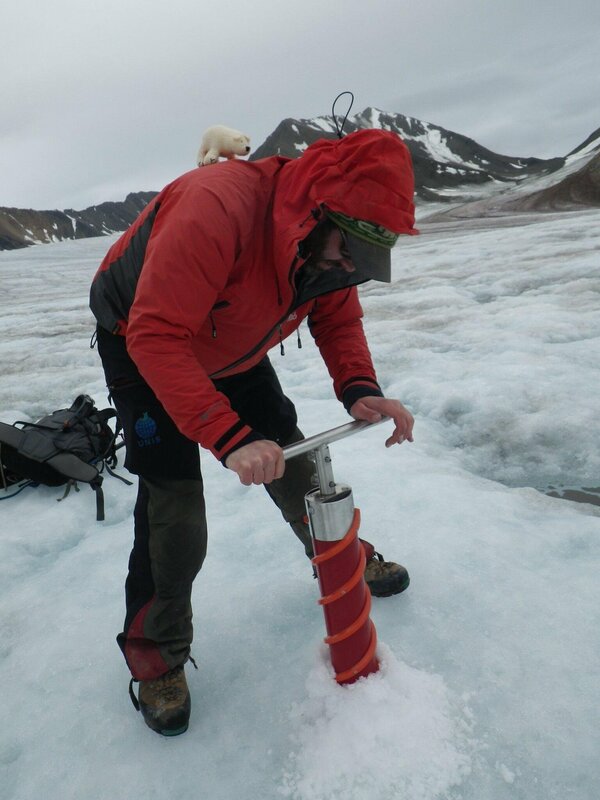 Fieldwork has included hot-water drilling of boreholes into the glacier and installing sensors to measure ice temperature at various depths to investigate the glacier’s thermal regime. She discussed how these measurements showed that Khumbu’s ice is warmer than expected, potentially putting the glacier at risk of more rapid melting as air temperatures rise. The warmer ice towards the terminus also allows subsurface meltwater drainage, about which very little is known. Katie has also carried out fluorescent dye tracing experiments to work out how meltwater travels through Khumbu Glacier, including storage within (englacial) and on the surface (supraglacial). As Khumbu and similar glaciers retreat in the future, meltwater storage and runoff will have implications for the downstream communities who depend on such water sources. Fig. 2: Katie presenting measurements of Khumbu Glacier’s thermal regime and hydrology at the Sagarmatha National Park headquarters in Namche Bazar (3,500 m a.s.l.). [Credit: Dhananjay Regmi]. Scott presented results from his PhD investigating melt processes and water storage on Khumbu Glacier (Fig. 3). Areas of Khumbu Glacier have thinned by up to 80 m over the last three decades and glacier flow is slowing down, which allows meltwater to pond on the glacier surface. The rugged glacier surface is pitted with ice cliffs and ponds, which act as hot-spots of melt in areas of the glacier otherwise insulated by a thick layer of rocks and sediment (debris-cover). 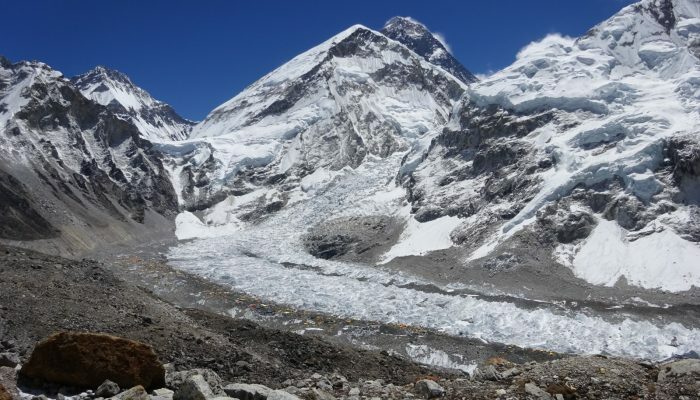 The rapid formation, persistence, and drainage of meltwater stored on glaciers across the Himalaya is a growing concern due to the potential for outburst floods and increased rates of glacier melt. An outburst flood event that occurred in the Everest region in 2017 destroyed trekking trails and a bridge. Fig. 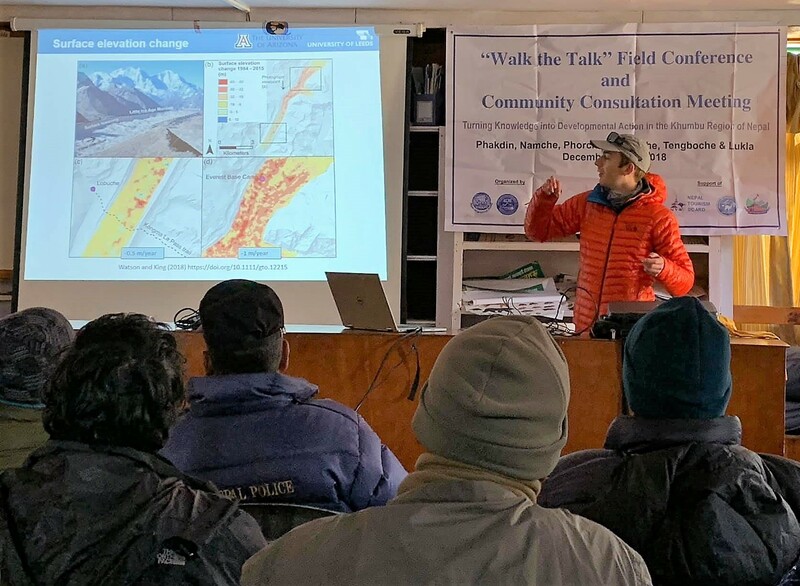 3: Scott presenting a study of glacier thinning at the Sagarmatha National Park office in Namche Bazar (3,500 m a.s.l). [Credit: Dhananjay Regmi]. After the final day of trekking, an extra night was spent in the village of Lukla, before flying back to Kathmandu. Each presentation was summarised in a few slides, and collated into a full talk that was given in Nepali by Dr. Dhananjay Regmi, organiser of the conference and head of Himalayan Research Expeditions. By presenting all our research in Nepali, more local people attended and were able to hear about and suggest new directions for research in the valley. This presentation was given again two days later, also in Nepali, at the Department of Tourism in Kathmandu, for locals who had already travelled back to the city to avoid the high-elevation winter chill. Fig. 4: The projection augmented relief model shown after presentations in the village of Phortse. The inset shows glacier velocity data projected onto the glaciers in the Everest region. [Credit: Gu Changjun and Scott Watson]. We designed outreach activities and leaflets to enhance the PowerPoint presentations given at each village by providing interactive demonstrations of key research concepts and results. Scott used an AGU Celebrate 100 grant to design a projection augmented relief model (PARM) of the Everest region (Fig. 4). 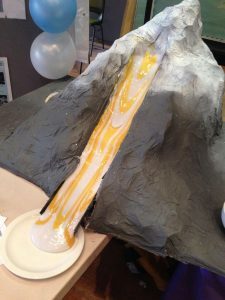 The PARM system projected research results including glacier velocity, mass loss, ice thickness, temperature, and animations of glacier flow, onto a 3D model, which stimulated discussion of the research. 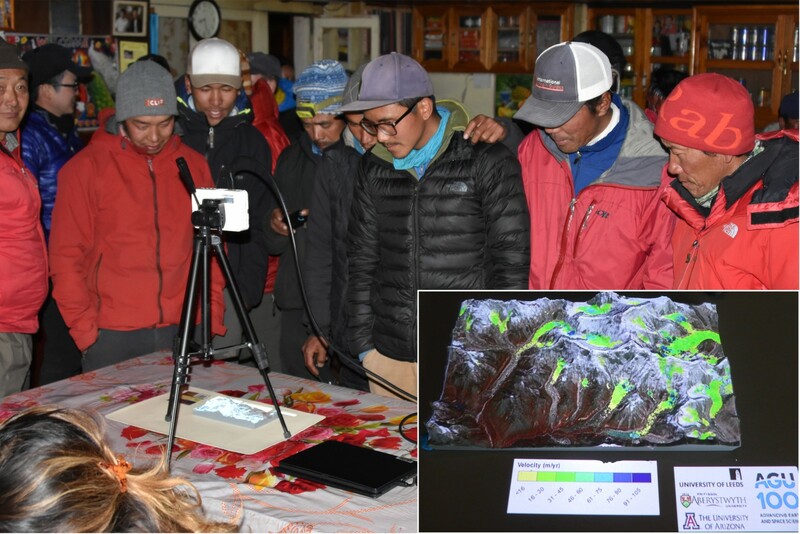 The 3D model allowed the local communities to easily visualise the data in the context of well-known mountain peaks and glaciers, and to observe the changing environment (such as the expansion of Imja Lake) from a projected time-lapse animation. Fig. 5: Katie demonstrating glacier thermal regime and hydrology using a 3D model to conduct example dye tracing experiments. The lower panel is a GIF showing the dye tracing. [Credit: Scott Watson and Katie Miles]. Katie’s interactive outreach was to demonstrate dye tracing experiments on a 3D model of Khumbu Glacier (Fig. 5). Food colouring was used to “dye” the water, which was “injected” into a supraglacial stream, then “disappeared” into the glacier. The side view into the glacier showed this water flowing through and beneath the ice, before emerging back at the surface, flowing through surface ponds and exiting the glacier at its terminus. The side view also showed the approximate ice temperatures measured by the EverDrill project, which actively showed where (and why) the glacier is experiencing more melt. The model was very well received by scientists and locals – while the water was being injected, we would explain what was happening in both English and Nepali, and there were always plenty of questions. While the dye tracing experiments didn’t work perfectly every time, surface floods offered an opportunity to talk about other hazards that have been recently observed on Khumbu Glacier. 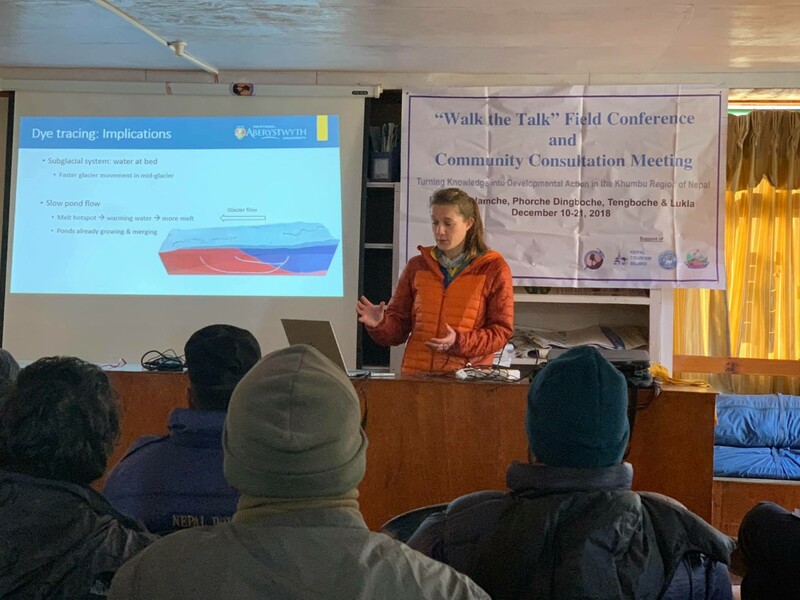 The “Walk the Talk” Field Conference and Community Consultation was a new style of conference, aiming to communicate a wide range of research topics in the Everest region of Nepal and the Sagarmatha National Park. The combination of high-elevation trekking and presentations was sometimes tiring, but the trek facilitated discussions about the landscape we were immersed in and was a fantastic learning experience. It is hoped that the conference will travel to different locations in the future to share research and understand the priorities of other communities in Nepal. Image of the Week – Supraglacial debris variations in space and time! 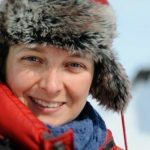 Communicating scientific findings toward non-experts is a vital part of cryosphere science. However, when it comes to climate change and its impact, the gap between scientific knowledge and human action has never been so evident (see for instance, the publication of the latest IPCC special report). Today, our image of the week features an interview with Cryo Connect, a new initiative for more efficient flow of information between cryosphere scientists and information seekers. Why have you decided to come up with an initiative like Cryo Connect? Currently, information seekers such as journalists, policy makers, teachers and stakeholders often resort to internet search engines to find experts for answering specific questions about the cryosphere. Or they return to the same expert they have interacted with in the past. Either way, it is unlikely that they end up receiving information from the expert that knows most about the topic, or even in the preferred language. 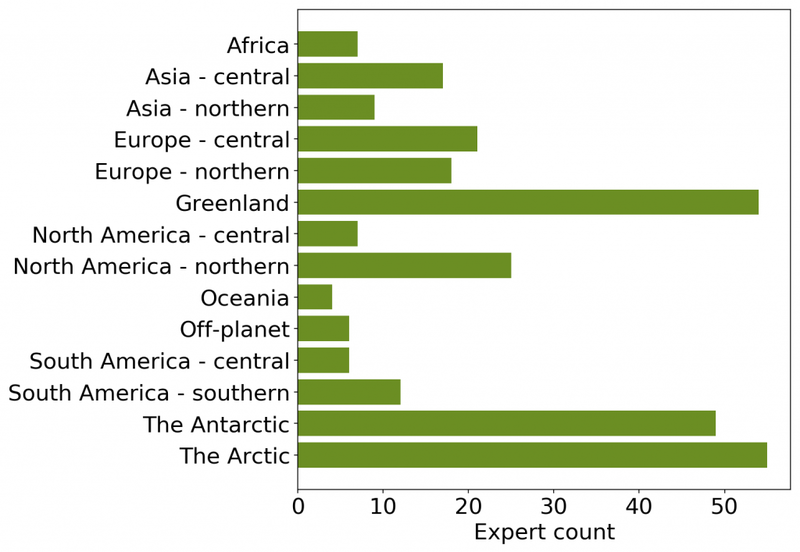 Some organizations have their own science outreach portals, but a truly global and inclusive network of cryosphere experts willing to provide insights to those seeking information has been lacking. For this reason, we established Cryo Connect. Cryo Connect is run as a non-profit organization. We are an official EGU Cryospheric Sciences partner and provide a free, online gateway through which experts and information seekers can reach out. Here, not only can information seekers find answers, but scientists can also actively promote their latest findings, pushing press releases (screened but unmodified by Cryo Connect) towards information seekers. 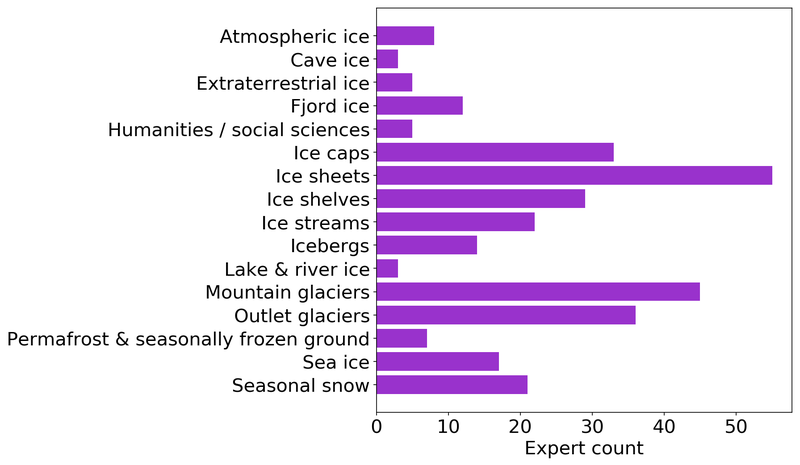 All cryosphere scientists globally can sign up as experts allowing them to boost their visibility (especially with respect to those ranking high on internet search engines), irrespective of their career stage, ethnicity, gender or the languages that they master. How has Cryo Connect been doing so far? Although still in our first year, by October 2018 Cryo Connect has already grown to a community of 98 experts based in 22 countries across the planet. Together, they can provide information on all components of all cryospheric regions in the world – in 19 different languages! Researchers make up about two-fifths of the expert database, while PhD students, senior researchers and professors each constitute a ⅕ part. Lots of knowledge to go around. What’s the take-home message for scientists? That all cryosphere scientists around the globe are invited to sign up as a Cryo Connect expert to increase their visibility to the media and other information seekers. The platform works best, and attracts more information seekers with an even larger expert population from all corners of the planet. And don’t forget to tweet about your latest peer-reviewed publication using the @CryoConnect Twitter handle for increased media exposure! Fig. 1: The view of Mount Everest and Khumbu Glacier from below Kala Patthar. The coloured tents of Base Camp can be seen stretched out alongside the glacier [Credit: Melanie Windridge]. 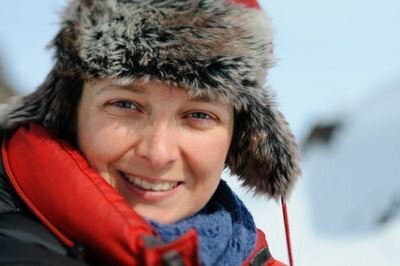 Dr Melanie Windridge, a physicist and mountaineer, successfully summited Mount Everest earlier this year and has been working on an outreach programme to encourage young people’s interest in science and technology. Read about her summit climb, extreme temperatures, and the science supporting high-altitude mountaineering in our Image of the Week. In April/May this year I climbed Mount Everest. To the top. It was two months of patient toil but in surroundings so majestic, impressive and inspiring. The Western Cwm (an amphitheatre-like valley shaped by glacial erosion) is vast, the summit ridge is steep and Khumbu Glacier was fascinating in itself. Our base camp was on the glacier and it changed daily in subtle ways – the ice melted, the rocks moved, the paths morphed. And the icefall was slightly different each time I passed through – the route changing through a collapsed area, a crevasse widening, or the rope buried by ice-block debris fallen from above. It’s a wonderful, interesting place and I am grateful to have experienced it. You can read more about the climb on my personal blog. Fig.2: The view up the Western Cwm from Camp 1. Lhotse can be seen in the distance and the summit of Everest mid-left. [Credit: Melanie Windridge]. Everest, of course, is extreme. It is steep almost everywhere, so you barely get a let-up anywhere beyond the Western Cwm. The temperature differences are extreme too – it is extremely hot or extremely cold. I took a couple of temperature loggers with me to the summit (one in a base-layer pocket under my down suit and one in an outer pocket of my rucksack). 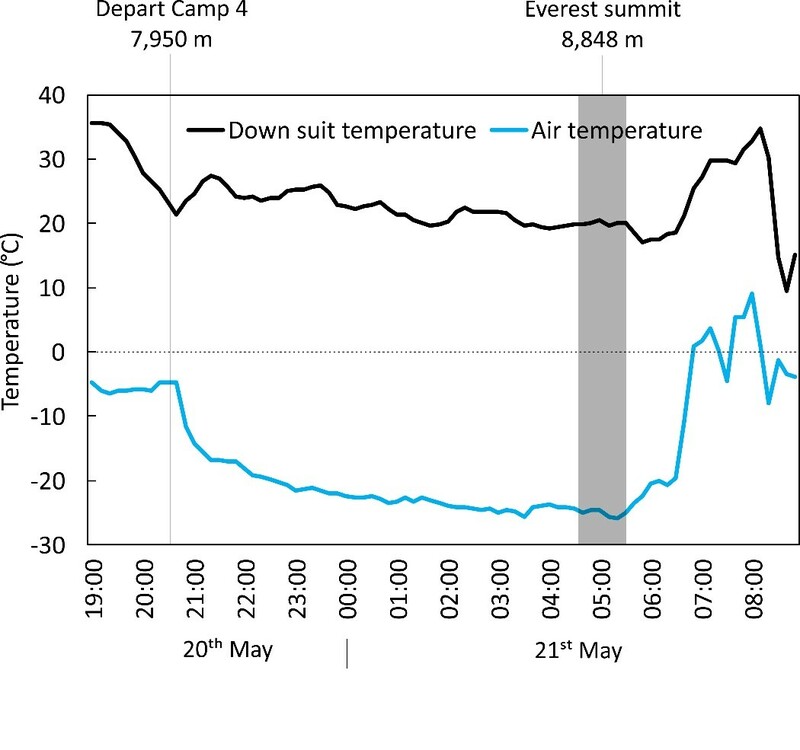 You can see from the graph of summit night (the climb from Camp 4 to the summit of Everest) (Fig. 3) how the temperature varied by tens of degrees. Since climbers dress for the coldest temperatures, this can be quite uncomfortable when the sun comes out. The temperature on summit night got down to about -25°C, but during the day it rose to 10 degrees or more so that we were sweating into our down suits. Fig.3: Graph showing the readings from two separate temperature loggers on summit night – one in a base-layer pocket under the down suit (Down suit temperature) and one in an outer pocket of the rucksack (Air temperature). The temperature rises quickly after sunrise, which was experienced on the summit [Credit: Melanie Windridge and Scott Watson]. It was science that really got me interested in Everest, when I realised that the main reason the British had succeeded in 1953 but hadn’t in the 1920s and 30s was because of scientific understanding and the state of technology. But so often we don’t talk about the science that supports us in these great endeavours; instead we put it all down to the strength of the human spirit. I think we need to talk about both. As part of my climb, I have been working on an outreach project to highlight how science and technology have improved safety and performance on Everest. I have made Science of Everest videos for the Institute of Physics YouTube channel and will be giving public talks. I wanted to show how science supports us and what has improved in recent decades to contribute to the falling death rate on Everest. In the video series I look at changes in weather forecasting, communications, oxygen, medicine and clothing. 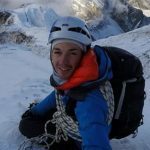 We also consider risk and preparation – videos that went out before I left for Everest – because, as a scientist, I looked into past data to see how I could give myself the best chance of reaching the summit and returning safely. Communication has improved not only because we have a greater variety than was available to the first ascentionists or the early commercial climbers (we have satellite phones, mobile/cell-phones and WiFi now), but also because everything is a lot smaller. Electronic components have greatly reduced in size so that radios used on the mountain now are small and handheld in comparison to the bulky sets of the 1950s (see video above). Of course, the implication of the project is wider than just Everest. I am interested in the importance of science and exploration in general. For me, Everest is an icon of exploration – the way that human curiosity, ingenuity, determination and endurance come together to drive us forward. Reaching into the unknown is good for us, on a societal level and on a personal level. I hope to give an appreciation of the value of science in our lives, give students an insight into interesting careers that use science, and show the value of doing things that scare us! 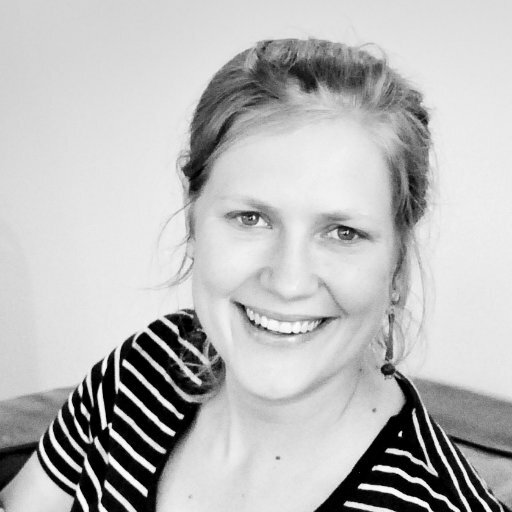 Dr Melanie Windridge is a physicist, speaker, writer… with a taste for adventure. 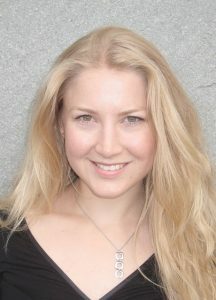 She is Communications Consultant for fusion start-up Tokamak Energy, author of “Aurora: In Search of the Northern Lights” and is currently working on a book about Mount Everest. What is an Inspiring Girls Expedition? In 1999 Glaciologist Erin Petit, Geographer Michele Koppes, and 5 high-school girls hiked out onto the South Cascade Glacier in Washington State. For the next week, this motley crew spent their time camped out on a glacier moraine, exploring the landscape and performing scientific experiments by day, and talking and listening to each others thoughts and stories by night – that was the birth of Girls on Ice. Over the next 13 years, more expeditions took place and more instructors (scientists, artists and mountain guides) started to get involved. In 2012, a second Girls on Ice expedition was born in Alaska and, in the years since, there have been Girls on Ice expeditions in 4 different locations and in 2 different languages! 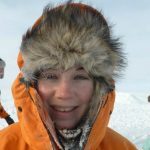 The idea has expanded to other areas of wilderness expedition as well, with new projects starting up: Girls on Rock, Girls in Icy Fjords and Girls on Water – nowadays these expedition are collectively known as Inspiring Girls Expeditions! Our mission is to bring out your natural curiosity, inspire your interest in science, connect the arts and sciences, free you from gender roles, provide a less competitive atmosphere, and encourage trust in your physical abilities. I’ve been following the work of Girls on Ice for a while, so when I saw a chance to go on an instructor training course, I enthusiastically signed up! 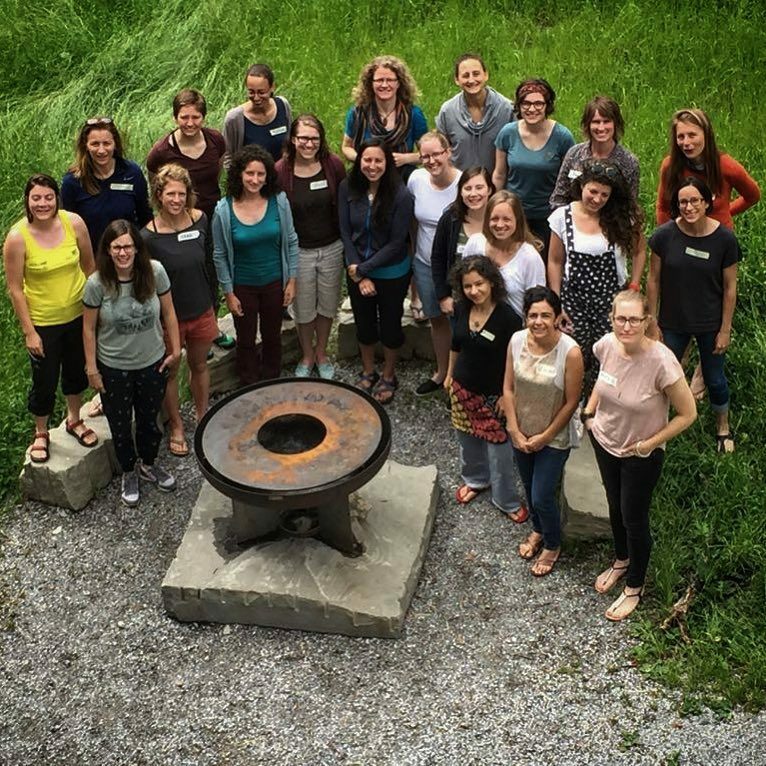 Over 4 days in June 2018, a group of women from at least 8 different countries got together in a hiking hut in Switzerland for an Inspiring Girls Instructor Workshop, hosted by Swiss Girls on Ice. We came from a broad range of backgrounds: glaciologists, climate scientists, biologists, artists, architects, professional coaches, teachers (I hope I haven’t forgotten anyone!). We started off by learning more about the Inspiring Girls philosophy, what they expeditions aim to teach, and how they keep the girls safe and deal with any issues that might arise. Then came the thinking part for us…How do you teach in a wilderness setting? How to keep teenage girls engaged in what you are doing? What is a good leader? This gave us a lot of food for thought and we discussed a lot of these issues late into the evenings! Then the fun part (although we all look rather serious in the pictures – below), working on ideas for new Inspiring Girls Expeditions (the current expeditions are often over-subscribed so there is certainly scope for more expeditions in more places) with the hope of inspiring more girls! So definitely watch this space for more expeditions coming to a mountain, cave or forest near you! It was a fantastic few days, with a fantastic bunch of women and I certainly came away feeling inspired myself! I have to admit, this isn’t your usual Image of the Week blog post, however, I hope the relevance to scientists, science educators, and anyone else that follows the blog is clear! 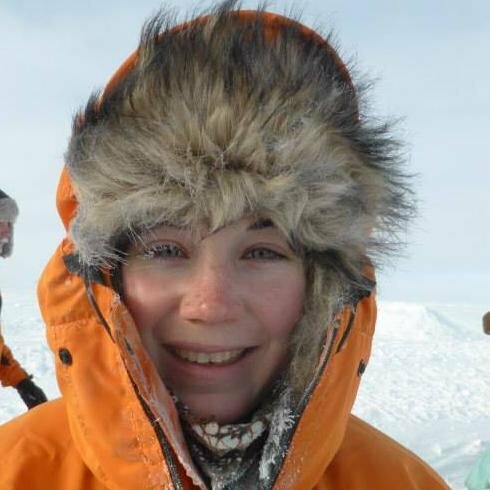 There is a need to show girls and young women that they have the potential to do what they want: be that a glaciologist, a mountain guide (both very much male dominated careers) or something entirely different! This type of expedition, in a single-gendered environment, is a very effective way to help build courage, confidence, and self-reliance! This sounds cool – how can I get involved? The team at Inspiring Girls are always looking for new people who are keen and enthusiastic about their project to get involved as volunteers, by donating a bit of cash or simply spreading the word about the expeditions – check their website to see how you can help out! 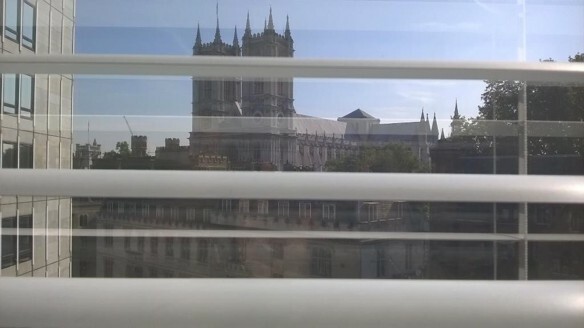 The eagle-eyed among you will have spotted that the POLAR18 conference is, in fact, a collection of different meetings held between the 15th-26th June, it’s quite confusing at first glance, so here is a summary of what is going on! 15 – 18 June – SCAR and IASC/ASSW Business & Satellite Meetings (i.e. Side meetings and workshops) – details here. Main program here – this will be the most important part for most of you! 24 – 26 June – SCAR Delegates Meeting & 2018 Arctic Observing Summit – details here. The conference and side meetings are held at the Congress Centre Davos which is in the middle of town (see map below). It is easy to walk around Davos, but if you want to use the local buses you get a free “Guest Card” bus ticket included with most hotel, hostel and apartment bookings. Needless to say, Davos is a great place to be if you like biking, hiking, trail running and just generally being outside – for ideas on what to do, check out the Q&A section of the POLAR18 website. There is a lot going on during the week – below we have listed just some of the social and networking events we think might be of particular interest to ECSs. The Association for Polar Early Career Scientists (APECS) is excited to invite members and other early career professionals from around the globe to our 2nd APECS World Summit 2018! 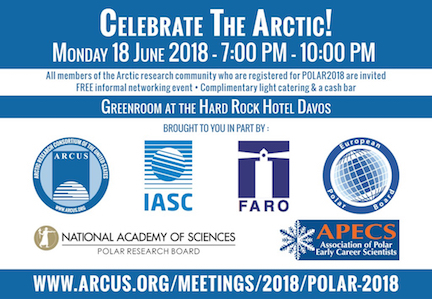 Hosted directly before POLAR2018 – the theme for this two-day event on 17-18 June will be “Connecting the Poles”. Please check out this link for more information and very important – YOU NEED TO REGISTER! Every wished someone had combined all the measurements of this or that for you into one handy dataset? Well….someone has! Pop into the Southern Ocean Data Hack on Sunday 17th June in Room B Strela to see these collected data sets and talk to the creators behind them. The workshop is supported by the NSF-funded SeaView project (www.seaviewdata.org) and the Southern Ocean Observing System (www.soos.aq). Introduction to and use of the datasets will be on an informal, drop-in basis from 8am – 4pm. Contact: Steve Diggs (sdiggs@ucsd.edu) or Pip Bricher (data@soos.aq ) if you want more info! This is a social networking event to highlight successes of the Arctic research community, organised by ARCUS on Monday 18th June (evening before the official start of the open science conference). It starts at 7pm in the Greenroom at the Hard Rock Hotel Davos. It is a free event with complimentary catering, door prizes, and a cash bar. 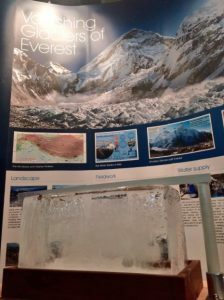 A relaxed social meet-up of the EGU Cryosphere ECS (early career scientist) team – that’s the folks that write this blog! Please email Emma (emma.smith@awi.de) for details! There will be a Queer/LGBT + Allies meetup at POLAR18 in the Rinerhorn/Strela room at the Congress Centre Davos (conference venue) on Friday, 22 June at 18:30 (after the poster session). The meeting is designed as a meet-up to discuss community goals and get to know people – after the meeting the evening will move to a social location downtown! Image of the Week – A rather splendid round-up of CryoEGU! The 2017 edition of the EGU general assembly was a great success overall and for the cryospheric division in particular. We were for instance thrilled to see that two of the three winning photos of the EGU Photo contest featured ice! To mark the occasion we are delighted to use as our image of this week, one of these pictures, which shows an impressive rapid in the Pite River in northern Sweden. Congratulations to Michael Grund for capturing this stunning shot. You can find all photos entered in the contest on imaggeo — the EGU’s open access geosciences image repository. But being the most photogenic division (at least the ice itself is…not sure about the division team itself!) was not our only cryo-achievement during the conference. 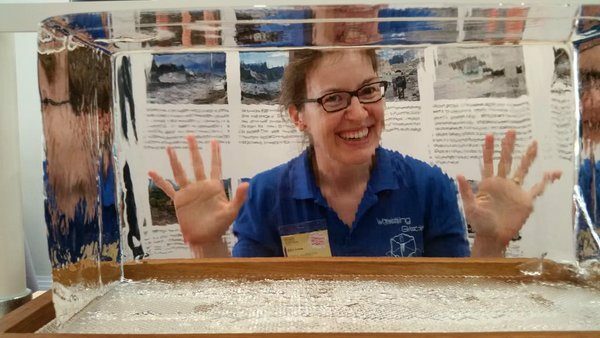 Read on to get the most of (cryo)EGU 2017! During the week we teamed up with APECS to put on a Polar Science Career Panel. Our five panellists, from different backgrounds and job fields, engaged in a lively discussion with over 50 session attendees. With many key topics being frankly and honesty discussed by our panelists, who had some great comments and advice to offer. Highlights of the discussion can be found on the @EGU_CR twitter feed with #CareerPanel. 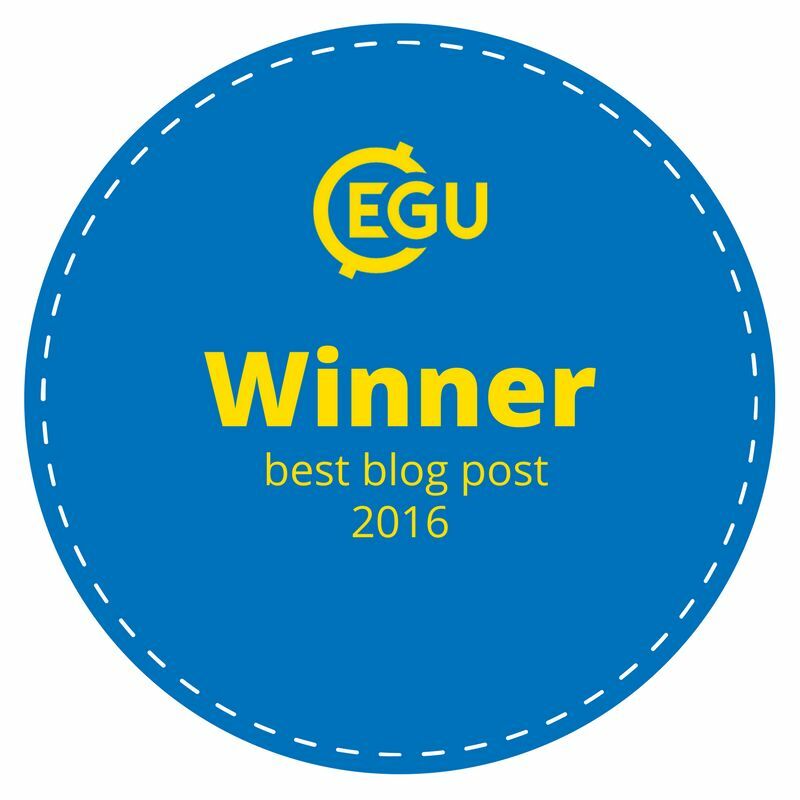 One of the things the EGU Cryosphere team has been recognised for is its great social media presence. We tweeted away pre-EGU with plenty of advice, tips and information about events during the week and also made sure to keep our followers up-to-date during the week. If it is not yet the case, please consider following us on twitter and/or facebook to keep updated with the latest news about the cryosphere division, the EGU or any other interesting cryo-related news! Conferences are usually a great way to meet new people but did you know that getting involved with the outreach activities of the division is another way? We also have many more people (who aren’t named above) involved in the blog and social media team AND the good news is that we are looking for new people to either run our social media accounts and/or contribute regularly to this “award winning” cryoblog. 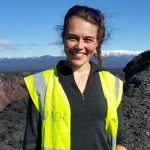 Please get in touch with Emma Smith (ECS Representative and former blog editor) or Sophie Berger (Chief Blog Editor and Outreach Officer) if you would like to get involved in any aspect of the EGU Cryosphere team. No experience is necessary just enthusiasm and a love of bad puns! And here is your “Save the Date” for EGU 2018 – which will be held between 8th – 13th April 2018. 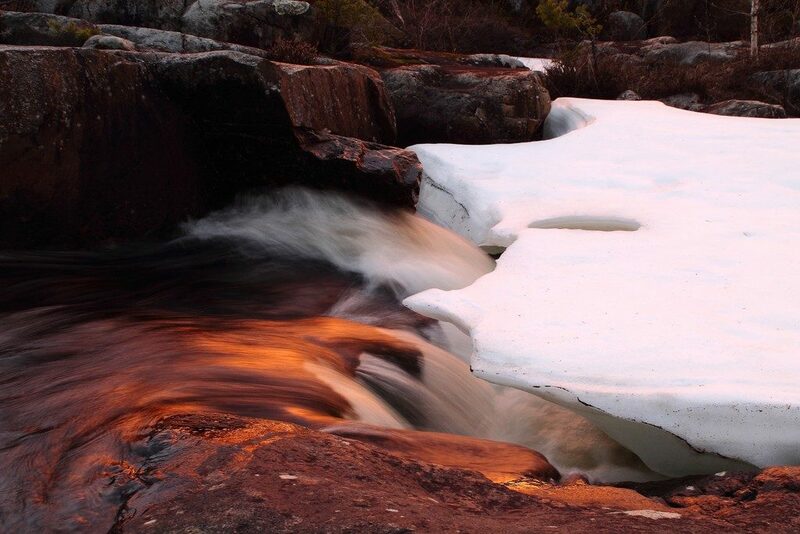 Image of The Week – Ice Flows! Portraying ice sheets and shelves to the general public can be tricky. They are in remote locations, meaning the majority of people will never have seen them. They also change over timescales that are often hard to represent without showing dramatic images of more unusual events such as the collapse of the Larsen B Ice Shelf. However, an app launched in the summer at the SCAR (Scientific Committee for Antarctic Research) Open Science Conference in Kuala Lumpur set out to change this through a game. Developed by Anne Le Brocq from the University of Exeter, this game is aptly named – Ice Flows! The game in a nutshell! 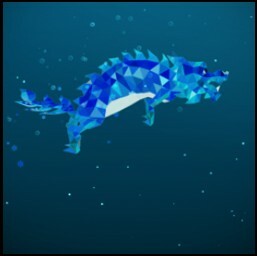 Ice Flows is a game that allows the player to control various variables of an ice shelf (floating portion of an ice sheet) environment, such as ocean temperature and snowfall, and see the changes that these cause. For example, increasing the amount of snowfall increases the ice thickness but increasing the ocean temperature causes thinning of the ice shelf. The aim of the game is to help penguins feed by altering the variables to create ice shelf conditions which give them access to the ocean. Although the game is based around penguins, importantly, it is changing the ice shelf environment that the player controls, this allows a player to investigate how changing environmental conditions affect the ice. 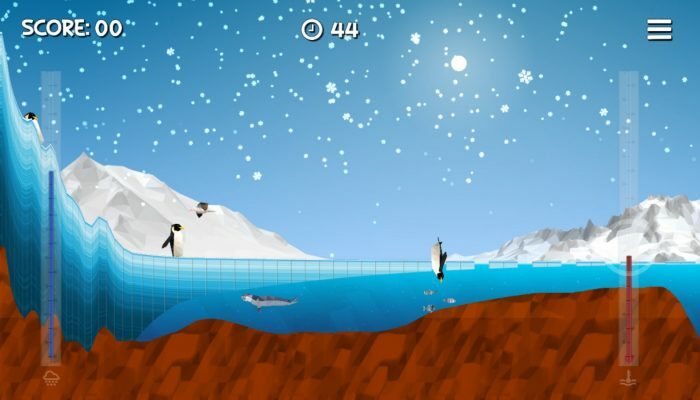 Our Image of the week shows a still from the game, where the player has created ice conditions which allow the penguins to dive down and catch fish. What is the educational message? The polar regions are constantly changing and assigning these changes to either natural cycles or anthropogenic (human induced) climate change can be tricky. Ice shelves tend to only hit the news when large changes happen, such as the recent development of the Larsen C rift which is thought to be unrelated to the warming climate of the region but may still have catastrophic consequences for the ice shelf. Understanding that changes like these can sometimes be part of a natural process can seem conflicting with the many stories about changes caused by warming. That’s why ice flows is a great way to demonstrate the ways in which ice shelves can change and the various factors that can lead to these changes. And the bonus chance to do this with penguins is never going to be a bad thing! The game allows players to visualise the transformation of ice sheet to ice shelf to iceberg. This is an especially important educational point given the confusing ways that various types of ice can be portrayed by the media; reports, even if factually correct, will often jump from sea ice to ice shelves and back (see this example). It is also common for reports to cloud the climate change narrative by connecting processes thought to be due to natural causes (such as the Larsen C rift) to a warming climate (such as this piece). This confusion is something I often see reflected in people’s understanding of the cryosphere. In my own outreach work I start by explicitly explaining the difference between ice shelves and sea ice (my work is based on ice shelves). Even so, I can usually guarantee that many people will ask me questions about sea ice at the end of my talk. Despite the messages that it is trying to convey, the app doesn’t come across as pushing the educational side too much. There is plenty of information available but the game also has genuinely fun elements. For example, you can earn rewards and save these to upgrade your penguins to some extravagant characters (my favourite has to be Xue Long – the snow dragon penguin!) Although the focus may be drawn towards catching the fish for the penguins while you’re actually playing, it would be hard for anyone to play the game and walk away without gaining an understanding of the basic structure of an ice shelf and how various changing environmental factors can affect it. The game was developed by Anne Le Broq in collaboration with games developers Inhouse Visual and Questionable Quality, using funding from the Natural Environment Research Council. Of course, many scientific researchers were also involved to ensure that the game was as scientifically accurate as possible whilst still remaining fun to play. On one hand, we wanted the model to reflect contemporary understanding well enough for students to learn about ice sheets, ice shelves, and Antarctica in particular. On the other, the game had to be playable, so that any calculations needed to be carried out quickly enough that the animation appeared smooth, and changing any of the parameters (for example, the accumulation rate) had to lead to a new steady state within seconds, to make the link between cause and effect clear. The resulting model works really well, creating a fun, challenging and educational game! See for yourself by downloading the free to play game from your app store, or online at www.iceflowsgame.com! Find out more about the game on the University of Exeter website or visit the game’s own website here. You can read in more detail about Steph’s modelling here. 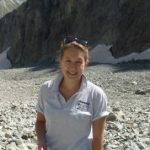 Sammie Buzzard has recently submitted her PhD thesis where she has developed a model of ice shelf surface melt, focusing on the Larsen C Ice Shelf. She is based at the Centre for Polar Observation and Modelling within the University of Reading’s Department of Meteorology. 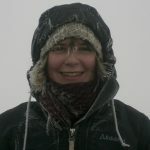 She blogs about her work and PhD life in general at https://iceandicing.wordpress.com/ and tweets as @treacherousbuzz. The Royal Society Summer Science Exhibition (RSSSE) is a free public event 4-10th July 2016 in London. This is a yearly event that is made up of 22 exhibits, selected in a competitive process, featuring cutting edge science and research undertaken right now across the UK. The scientists will be on their stands ready to share discoveries, show you amazing technologies and with hands-on interactive activities for everyone! The Royal Society has historic origins – going back to the 1660s and today it is the UK’s national science academy working to promote, and support excellence in science and to encourage the development and use of science for the benefit of humanity. If you can get yourself down to London this week then it is definitely worth a look! This year there are a number of ice-related exhibits. The “4D science” exhibit uses X-ray computer tomography to look inside ice cream and the “Explosive Earth” exhibit showcases ice-volcano interactions in Iceland using earthquakes. The Summer Science Exhibition yearly attracts around 12,000 visitors. This is a unique opportunity to meet cutting edge scientists, discover their research and try out fun and engaging activities for yourself. The Explosive Earth exhibit has been put together by the Cambridge Volcano Seismology group. They explore many applications of volcano seismology, from what we can learn about movement of molten rock (magma at more than 1000°C) in the Earth’s crust and rift zone dynamics, to the very structure of the earth itself. They currently focus their research in central Iceland where they operate an extensive seismic network in and around some very active volcanoes, many of which are under Europe’s largest ice cap Vatnajökull. The seismic network detects tiny earthquakes caused by the movement of magma beneath the surface, which often occurs under volcanoes prior to eruption. By studying these seismic events, they hope to be able to predict volcanic activity better in the future. Their exhibit at RSSSE showcases current research in this explosive field of volcano seismology. The 2010 eruption at Eyjafjallajökull (image at the top of the page) occurred beneath a glacier, which caused a highly explosive eruption. When hot magma comes into contact with ice the magma cools and contracts and the ice turns to steam and rapidly expands. This shatters the solidifying magma and produces ash. The explosivity of the interaction, and the pressure of all the rising magma underground, blows the mixture of ash, volcanic gases and steam high into the air, creating an eruptive plume. 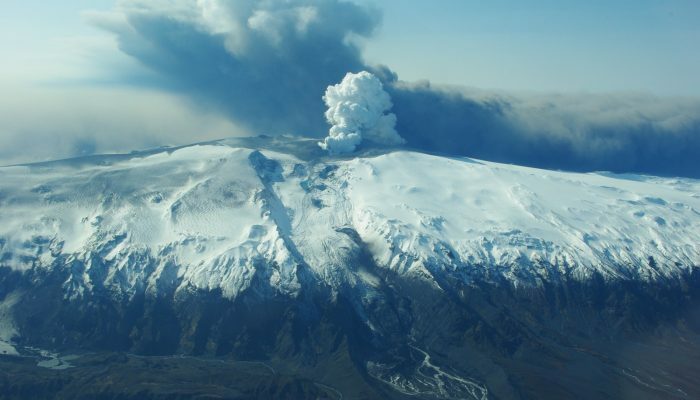 The 2010 Eyjafjallajökull eruption produced an ash plume that reached up to 10 km (35,000 feet). The fine ash was then carried 1000’s of km by the wind towards Europe where it grounded over 100,000 flights. In 2014 a completely different kind of eruption happened in central Iceland, also originating from a volcano under the ice. Magma flowed underground from Bárðarbunga volcano, beneath Vatnajökull ice cap, fracturing a pathway so far from the volcano that when it erupted there was no ice at the surface. Without the magma-ice interaction, the eruption was comparatively gentle and the molten rock simply fountained out of the ground, reaching heights of over 150 m. No ash was produced, only steam and sulphur-dioxide. The amount of magma erupted was much greater than in 2010 (an order of magnitude higher), but there was no impact on air travel because there was no ash plume. 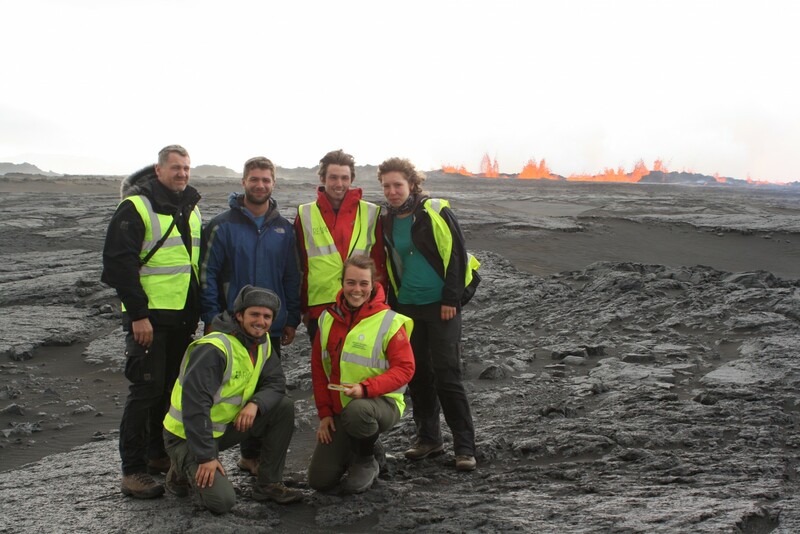 The Explosive Earth team are investigating the 30,000 earthquakes that led up to this spectacular six-month eruption in Iceland, to try and find out more about what happened and why. 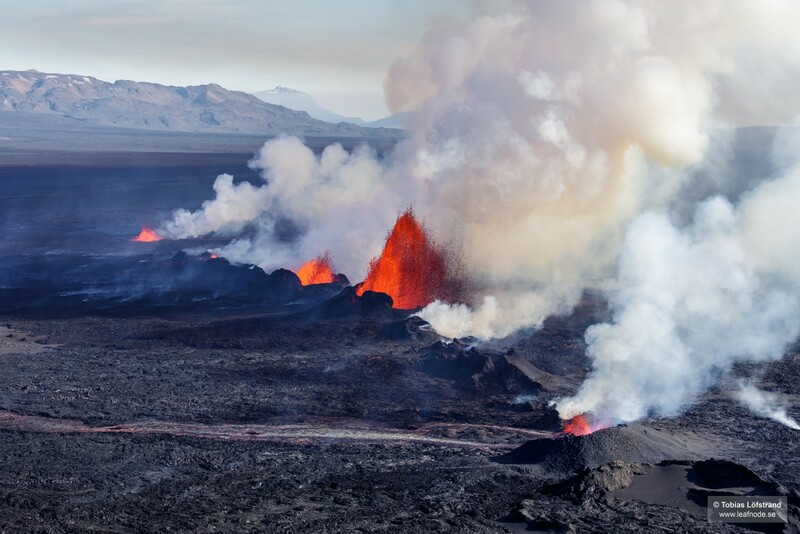 The earthquakes tracked the progress of the molten rock as it moved underground, away from Bárðarbunga volcano to the eventual eruption site at Holuhraun, 46 km away. What can monitoring these earthquakes tell us? Explosive eruptions under ice can cause rapid and destructive flooding of inhabited areas downstream, and can propel huge ash clouds into the atmosphere, disrupting air travel around the globe. Gentle eruptions, producing large lava flows, can release millions of tones of harmful gases, affecting the local population and in some cases the global climate. Studying earthquakes helps to understand the physical processes that occur in volcanic systems, such as how molten rock intrudes through the Earth’s crust and how the centre of a volcano collapses. The more we understand about the behaviour of these systems, the better we can forecast eruptions. “Explosive Earth” exhibits earthquakes and eruptions in Iceland in a fun interactive way. You can find out more details of the science behind why and how these eruptions happen and how it is possible to monitor volcanic activity in Iceland using earthquakes. As a taster of what you can see, try entering your postcode into their lava flow game to see how big the Holuhraun lava flow is and how far it travelled underground prior to erupting. Other interactive activities include making your own earthquake and testing your reaction times with an earthquake location game. 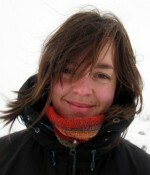 Thorbjörg Águstsdóttir (Tobba) is a PhD student at the University of Cambridge studying volcano seismology. 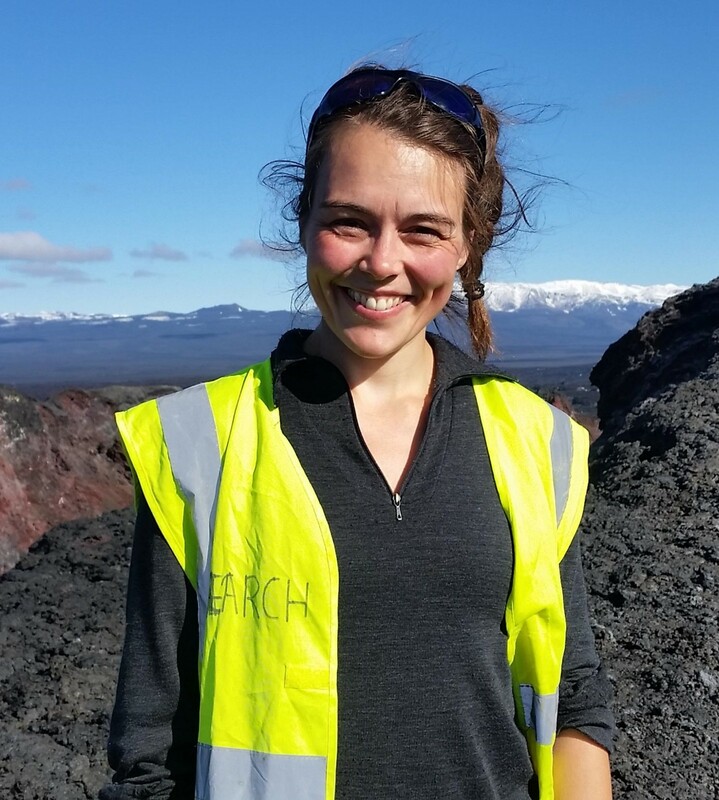 Her research focuses on the seismicity accompanying the 2014 Bárðarbunga-Holuhraun intrusion and the co- and post-eruptive activity. She tweets as @fencingtobba, for more information about her work see her website. Have you ever wondered how results from scientific studies make their way into policy and influence government decisions? Read about the experiences of Sammie Buzzard, University of Reading, who spent her summer working for a government body in Westminster, London, UK. This summer I had the opportunity to take some time away from my usual Ph.D. work and spend 3 months working for the Government Office for Science in London, or ‘GO Science’ as it is known. My placement was made possible by a scheme set up by the UK research councils that allows PhD researchers to spend some time in a policy organisation. Through this, researchers can gain an insight into how science fits into policy and pick up new skills in areas such as communication and managing multiple tasks. In return, the policy organisations get some insight into how academics think and some of the cutting edge science that is currently going on. View from my window: Westminster Abbey. Credit: S. Buzzard. What is the Government Office for Science? Based in Westminster in the heart of London’s political centre, GO Science exists to ensure that the UK Government’s policies and decisions are informed by the best scientific evidence. It is headed up by Sir Mark Walport, the Government Chief Scientific Adviser, whose role is to advise the Prime Minister and Cabinet. GO Science works to ensure and improve the quality and use of scientific evidence and advice in government. They also provide scientific advice in the case of emergencies, through the Scientific Advisory Group for Emergencies (SAGE). This includes international emergencies, such as advising the government on their response to the ebola crisis for example. One thing that really surprised me about GO Science was the number of people with a scientific background who work there. There were many people with PhDs and several who had done post-doctoral positions before joining the GO Science. This combination of scientific thinkers and those who had come from many different backgrounds, including career civil servants, means that there are a great range of skills available. If you find that you are not so good at something or are nervous about writing a briefing, there will always be someone who will be willing to go through it with you. It also means that with the number of contacts that the office have, both in academia and industry, expert advice can be found on virtually any area. It also means though that if you have a scientific specialism then you have to be prepared to be asked all about it. The Chief Scientific Adviser had recently been in Svalbard and this led to me being asked a whole range of questions from whether or not he has to have an armed guard when in the Arctic to the state of the sea ice. The fact I do mainly care (at least for now) about the South Pole did not matter! Sammie Buzzard in her more usual surroundings as a glaciologist. Credit: S. Buzzard. Fortunately, I was also given the opportunity to present my own work on the surface melt lakes on the Larsen C Ice Shelf to my colleagues. For me, this was a hugely valuable opportunity to communicate my research to a mixed audience and get some unexpected questions from the fresh viewpoints that those from outside of glaciology can provide. … a specialist in many subjects! 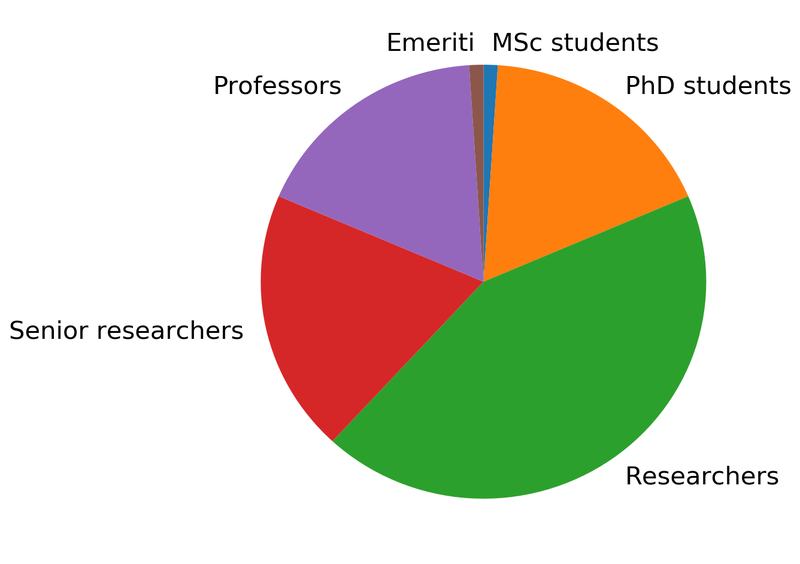 One of the main differences I found from my normal day job as a PhD researcher was the variety of topics and responsibilities. My work covered subjects as diverse as finance, biological materials and technologies of the future. I had the chance to experience several different areas of work, from writing briefing notes for the chief scientist, to helping check facts for a presentation on energy that he was giving to the public. It was very different to PhD life in that I would often have several pieces of work ongoing in completely different areas and often for different people, so it involved a lot more juggling of tasks than my average day buried in Matlab code. Although it was a challenge to have to learn so much about subjects I knew very little about very quickly but one which I enjoyed and a useful skill that I will take away with me. I particularly enjoyed the chance to work for the Council for Science and Technology, a group of hugely influential people who provide high level advice to the Prime Minister. The group consists of university vice chancellors, business leaders and the heads of learned societies and seeing the ways in which they work and make decisions was fascinating. An additional thing that I found very different to academia was the level of accountability for my work. If my PhD work goes wrong then ultimately it is my responsibility but at GO Science often more than one person would check a piece I wrote before it was passed on or sent out. This did make me feel much more confident in my work knowing I was not going to put anything completely ridiculous in front of chief scientific adviser, but I did begin to miss being able to choose and have responsibility for the direction of my own work in the way that I have with my PhD. I would highly recommend opportunities like this for other PhD students, or scientists at any stage in their career. Knowing where the work that we do ultimately is going and what policy makers care about is incredibly useful. Researchers can also work in Parliament and non-government organisations such as the British Library and the Royal Society. The scheme has recently recruited for next year’s interns and applications normally open each summer for the next year’s intake. 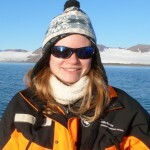 Sammie Buzzard is a PhD student in the department of Meteorology at the University of Reading. 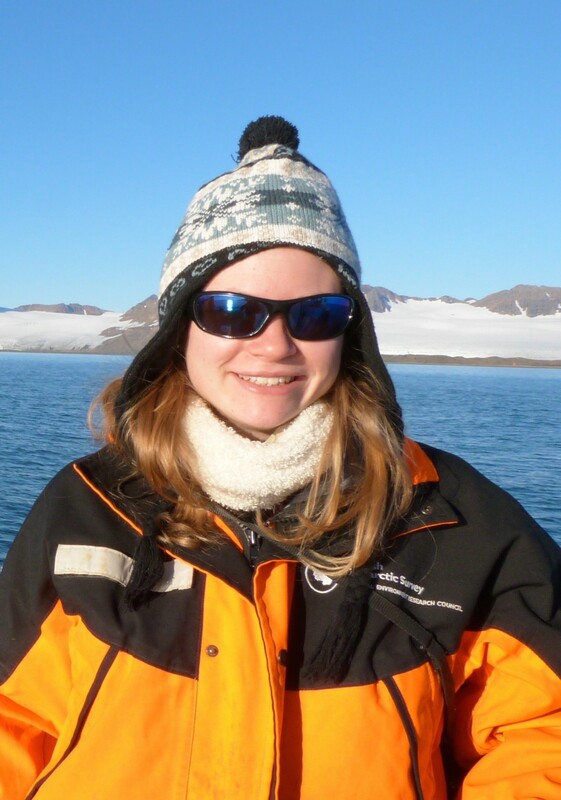 After completing a Master’s degree in mathematics she is now researching surface melt on the Larsen C Ice Shelf. 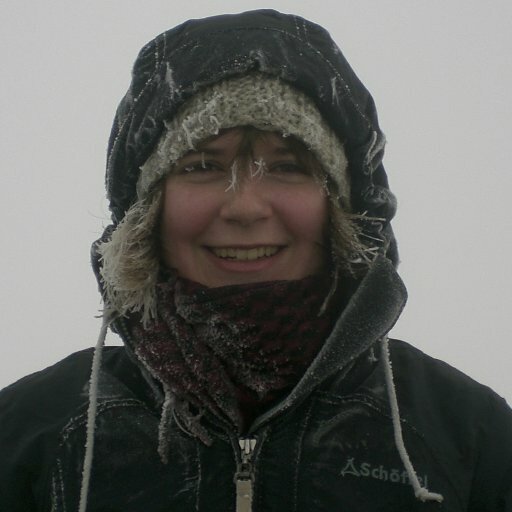 She blogs about polar science, life as a PhD student and cake (because cake is essential for research) at Ice and Icing and can be found tweeting at @treacherousbuzz.